ESCC has led the way in integrated security and communications applications for commercial properties, high-end residential properties and new development projects for over 30 years. 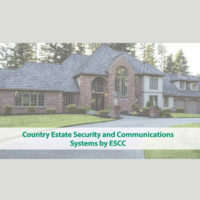 As a full-service security and communications provider, ESCC offers a powerful combination of design, engineering and installation services as well as post-installation support to meet your property’s on-going security and communications challenges. ESCC provides integrated security and communications technology that includes but is not limited to: Video Surveillance, Access Control Technology, Telecommunications Systems, Intrusion Detection Systems, Low-Voltage Cabling Infrastructure, Communication Networks as well as Construction Administration. ESCC also prides itself on post-installation monitoring and support to ensure that your commercial property or home is secure and on-line 24/7. 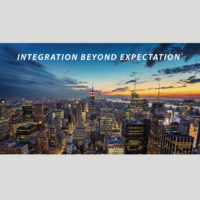 Combined, this scope of services makes ESCC a seamlessly integrated, full-service security and communications company that provides “Integration Beyond Expectation®” for your commercial or residential property. ESCC has led the way in integrated security and communications applications for commercial properties, high-end residential properties and new development projects for over 30 years. 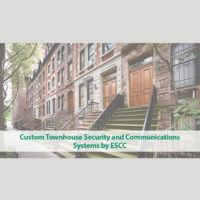 As a full-service security and communications provider, ESCC offers a powerful combination of design, engineering and installation services as well as post-installation support to meet your property’s on-going security and communications challenges. 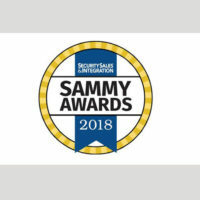 Comments Off on ESCC is Proud to Announce our 3rd Quarter 2018 Newsletter! 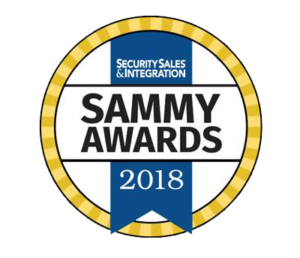 Comments Off on ESCC Nominated for Security Sales & Integration’s 2018 Integrated Installation of the Year Award!